The Hôtel Turenne le Marais, in the heart of Paris Rive Droite, is ideally located for visiting Paris: near Place des Vosges and the Bastille, surrounded by designer boutiques, art galleries, museums and more. The hotel is in the centre of a particularly lively and “trendy” area where you can enjoy countless restaurants and bars late into the night. Conveniently located (near the Saint Paul and Bastille metro stations and the Gare de Lyon), the hotel offers 41 rooms with a modern decor, reflecting the style of the area. 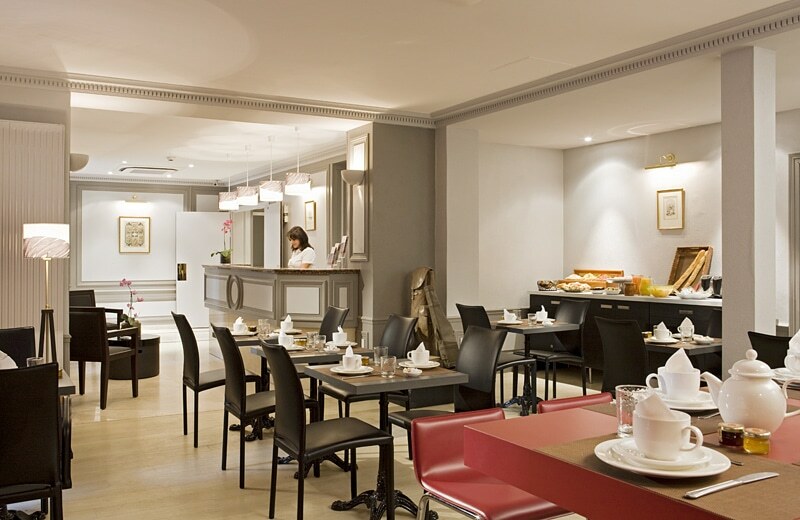 By staying at the Hôtel Turenne le Marais, you can enjoy our breakfast buffet in a spacious, naturally-lit dining room. We offer a wide selection of fresh items, pastries and cold cuts, mainly selected from a range of organic products. Breakfast is offered for 14 euros per person. It is free for children under 12 and can be served in your room without any extra charge. If you book directly on our website, you enjoy 50% off the breakfast rate.